Email Therapy is counselling through email exchange. Write to your therapist and receive a response containing reflections and questions to help you find meaning and perspective. Email Therapy allows you to write in your own time and receive fast responses in easy to understand, jargon free, everyday English. All you need is a private email account and access to a computer. Experience therapeutic change through the power of the written word. Read through the conditions of service. Request an invoice through the enquiry page . Make payment using the Paypal invoice you receive. Send up to 1000 words. You will receive your therapists reply within 72 hours of making payment. $360 for 5x email exchanges. 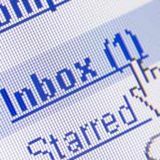 You can send up to 1000 words in each email and will always receive a response of at least 500 words in exchange. Writing to your therapist means the therapy is totally private. Your therapist will not see you or hear your voice. This kind of private therapy is easy and provides a feeling of security. Your emails are confidential and you can also stay anonymous if you wish. Email Therapy offers the convenience of engaging with a therapist without leaving home. Write about problems or difficulties and make sense of your experiences from the comfort of your bedroom or office. Develop a relationship with your therapist without travelling. Avoid parking problems and public transport delays and save time. Sending an email to your therapist means you can take the time to write and really express yourself. Writing down your thoughts and feelings can be a therapy in itself. Your therapist will respond with reflections and questions of what he has read, giving you the opportunity to develop new perspectives and come to new understandings which, in turn, you can express back in the next email exchange. Therapy by email gives you a unique record of your therapy. Every email you receive is a therapeutic document you can keep and refer to in the future. Email Therapy is a way of creating a personalised self help book that continues to be helpful long after the therapy is over.